Set in one of the most beautiful, undisturbed places in the world, Jumby Bay is an island of simple pleasures. 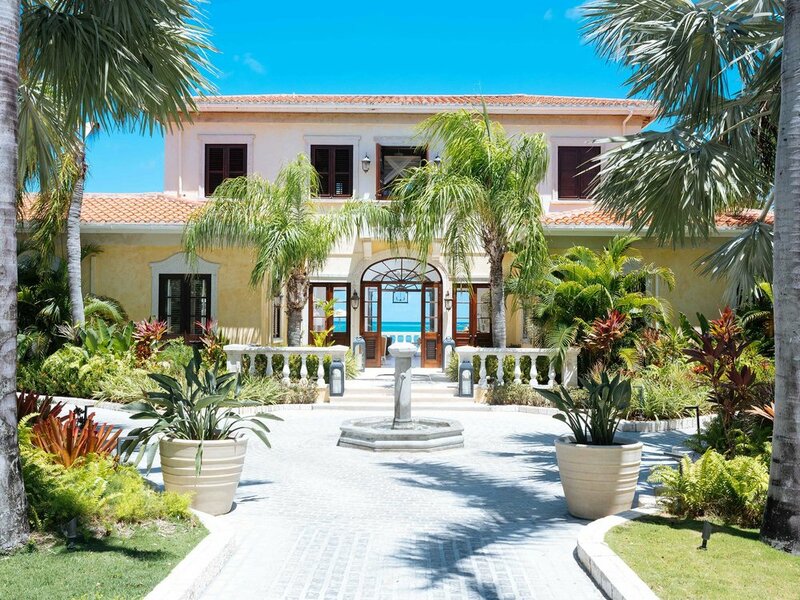 Reachable only by boat, and with no cars in sight, this private isle of white-powdered beaches and winding bicycle paths is a one-of-a-kind hideaway known, quite simply, as the finest resort in the Caribbean. The private island paradise is the latest addition to the Oetker Collection. La Casa is the perfect home away from home for visitors. An exquisite property set on three acres of lush tropical landscape, this private estate overlooks the beautiful white coral sands of Pasture Bay. The Italian-style villa features a master suite with private balcony, two additional bedrooms, a salon, library and two dining areas. La Casa is an exquisite British Colonial style villa, set on three acres of lush tropical landscape located on the sands of Pasture Bay. This 10,000 square foot home is the ideal space for tranquil indulgence and includes a drawing room, dining room, a fully equipped kitchen, and a charming library with wood vaulted ceilings. The master bedroom, located on the second floor, is beautifully decorated with bespoke furnishings and has an en suite bathroom with claw-foot soaking tub. 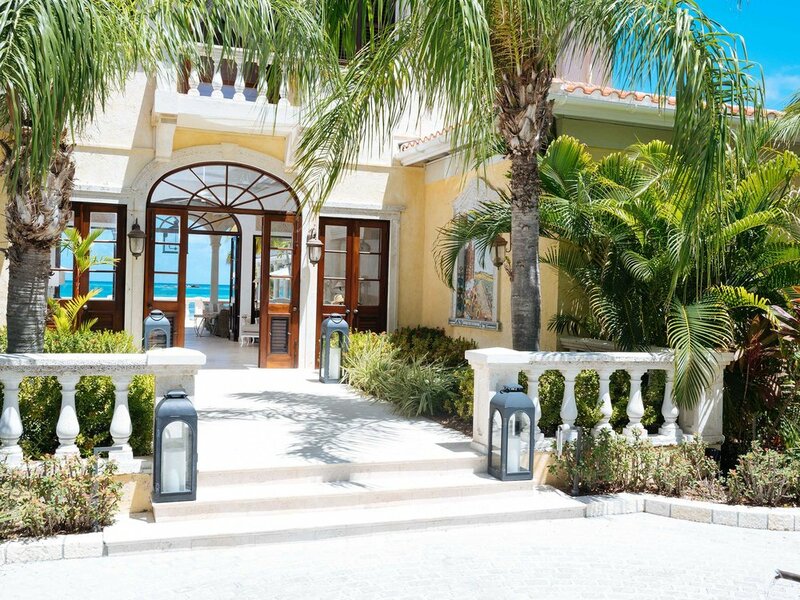 This suite opens onto a furnished private balcony that overlooks the pool and beach. There are four additional bedrooms with king size beds and en suite bathrooms in the main house, as well as one children's bedroom with two twin beds. The bedrooms are situated within the main house and three private guest cottages. Homes collect rainwater to use in their gardens, the Jumby Bay Island nursery propagates native plants and trees, bicycles and golf carts have replaced cars. The marine eco-system is just as important; great care is taken to ensure the reef is not endangered by watersports and some homeowners are nurturing new sea gardens to encourage underwater life. For 25 years the island has supported a conservation programme for the endangered Hawksbill Turtles that nest on the protected beaches of Pasture Bay. During the nesting season, one of the favourite island pastimes is to witness the female emerging from the sea, back to her place of birth to lay eggs for the next generation. A drama that has been repeated for centuries. All beaches on the island are protected nesting areas for this beautiful species and two researchers patrol hourly through each night from June to November. As one of the longest running projects in this field, it is a world-leading example of turtle conservation. The property’s swimming pool and Jacuzzi are just steps from the beach. The spacious pool deck is furnished with chaise lounges and gorgeous flowering plants and vines that surround the pool. Swim or relax poolside under an umbrella and make use of the poolside bar. The property also boasts a private croquet lawn adjacent to the pool, and a flood-lit tennis court and gym. Behind the pool are covered terraces with graceful archways and beamed ceilings that provide sheltered outdoor living and dining areas. With unique furnishings and decorative touches, these spaces offer the comforts of a relaxing indoor space with uninterrupted views of the sea, and soothing trade breezes. Guests can also enjoy drinks or a meal on a dining terrace with lounge area just steps from the tranquil waters of the Caribbean. With special thanks to all the staff at La Casa and Jumby bay for making us smile every day. And to our amazing team of Friends.